Forward-looking: While most people look forward to the holidays, they can be a time of great stress for dogs and their owners, all because of fireworks. But Ford has created a kennel that could help canine companions by using noise-canceling technology. The prototype kennel features the same tech found in headphones such as Sony’s WH-1000XM3 and Ford’s Edge and Fusion vehicles. It detects the explosive sound of fireworks though in-built microphones, omitting opposing frequencies from its internal speakers to reduce or eliminate the noise. 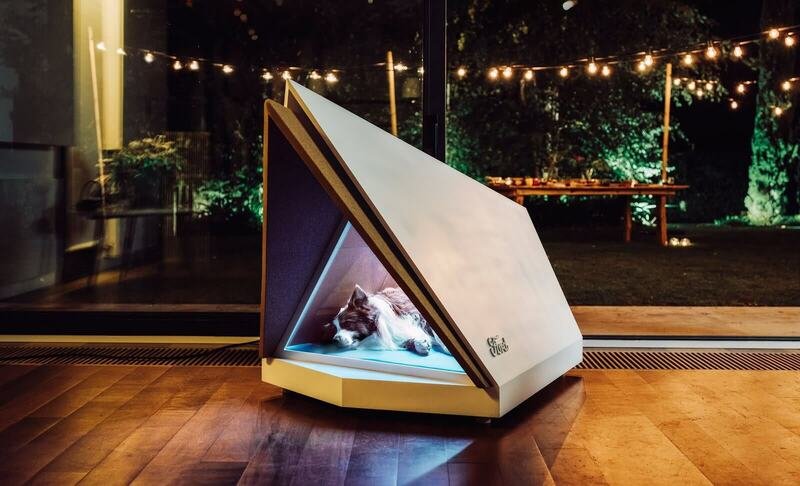 The doghouse is also packed with noise-absorbing materials, including high-density cork panels, anti-vibration risers, and soundproofed ventilation. There’s even an automatic sliding glass door on what is a very stylish-looking unit. “We wondered how the technologies we use in our cars could help people in other situations. Making sure dogs and their owners could enjoy a stress-free New Year’s Eve seemed like the perfect application for our Active Noise Control system,” said Ford of Europe’s brand content manager, Lyn West, in a statement. Ford emphasized that the kennel is just “a prototype for now,” and is part of its Interventions initiative, which uses automotive knowledge and tech to solve everyday problems. As the owner of a West Highland Terrier who is traumatized by the sound of fireworks, I’m hoping it becomes a real product. No word on how much this kennel might cost when, or if, it arrives, but you can bet there will be countless dog lovers lining up to buy one, even if it is very expensive.